With great sadness, the family announces the passing of Gordon on April 13 at the age of 82. 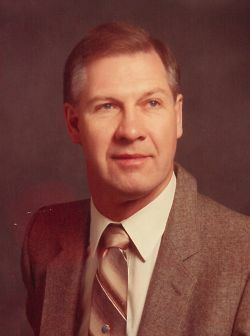 Gordon will be greatly missed by his husband of 43 years, Don; his brother Glen (Joan), sisters, Elsie, Grace (Spence) and Mary (Doug); many nieces and nephews; and Don’s family in Vancouver and the Philippines. He was predeceased by his parents, Russell and Ethel; brother- in-law, Lionel; and Don’s parents, Esteban and Claudia. Gordon grew up on the family farm near Deerwood, Manitoba. He worked at the Atomic Energy of Canada Ltd. Research Station at Pinawa for most of his career as an electrician. Gordon was a car enthusiast, whose passion for automobiles was apparent to those around him. He could tell you the make, model and year of any vehicle he saw. Gordon was also an avid traveller and made several trips to the Philippines to visit Don’s family. Special thanks to all the caregivers at Riverview Health Centre. In keeping with Gordon’s wishes, cremation has taken place. Gordon’s life will be celebrated at a private family gathering.